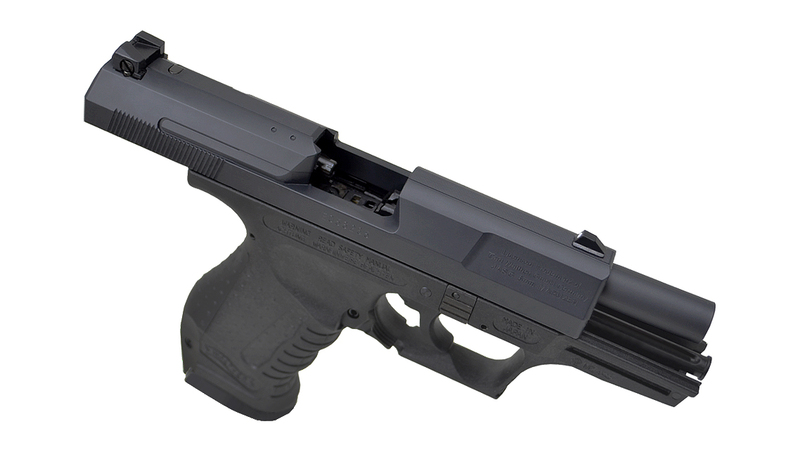 Never Say Die! 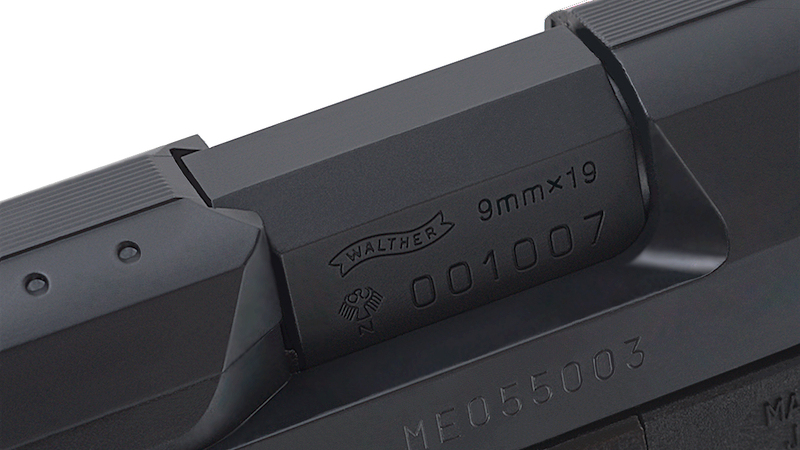 The Bond Gun is just as beautiful as we remember it to be in the movies. 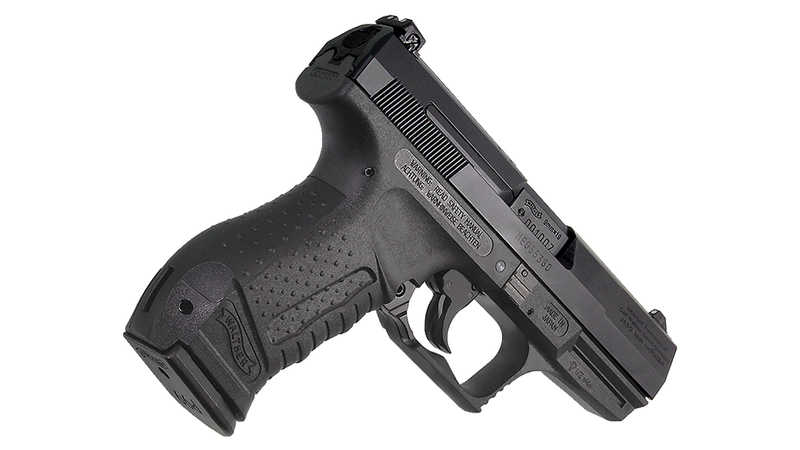 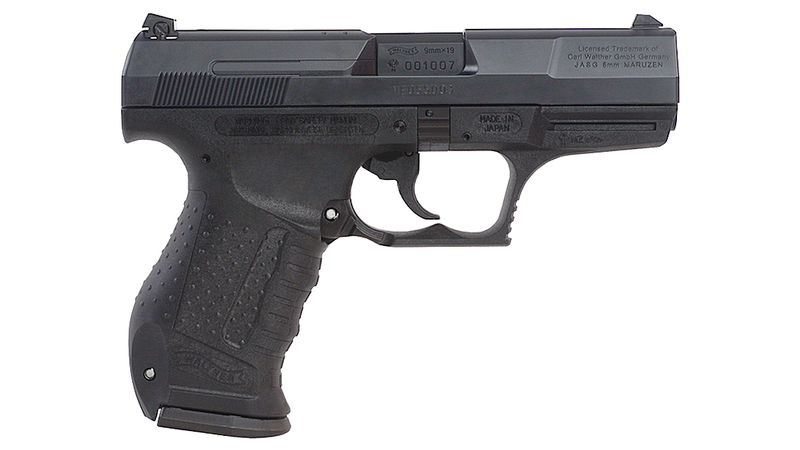 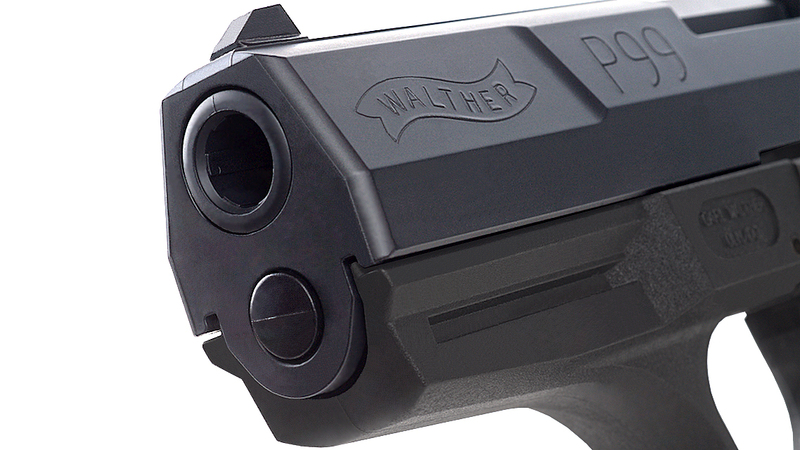 The Walther P99 is the weapon of choice for the modern day 007, and represents an era of user friendly weapons. 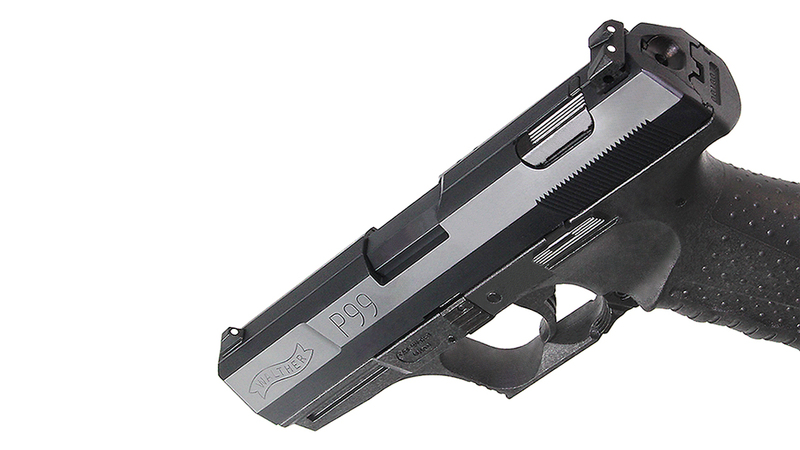 The design was initiated in 1994, and the P99 was presented in 1996. 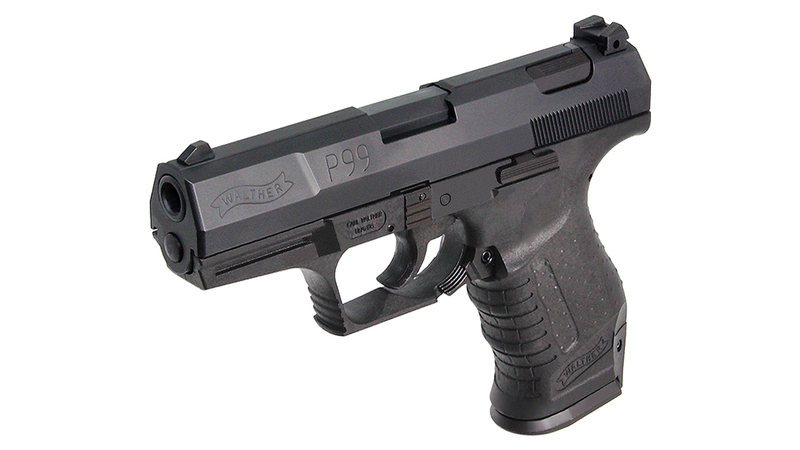 The primary goal was to design and develop a new, modern police and self-defense handgun that combines the latest developments, while costing less than the Walther P88, it's predecessor. 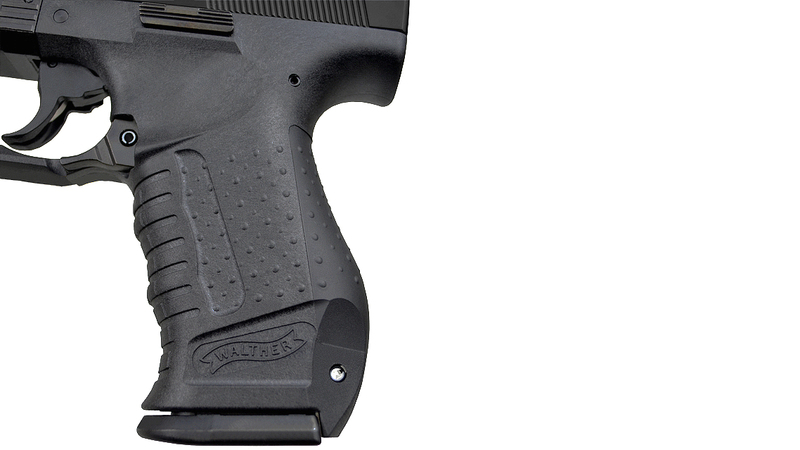 Maruzen's version of the Walther P99 is an ultra-realistic copy of the real thing, with authentic engravings on the slide and the contoured grip that fits like a glove in the palm of your hands. 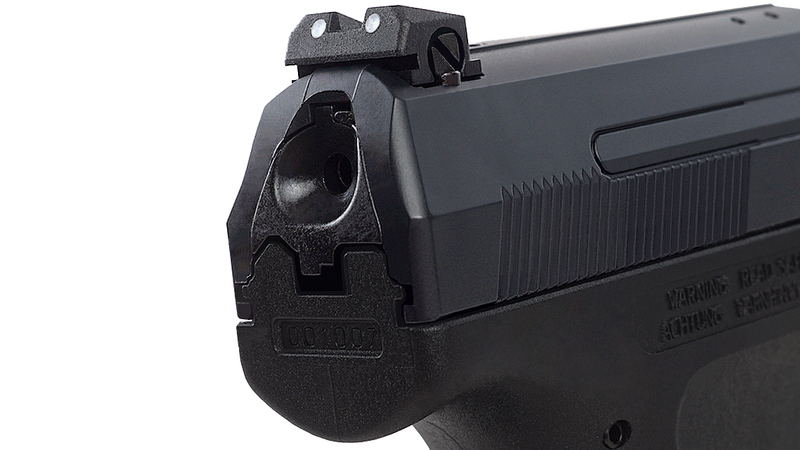 The modular design allows you to install grip plates that adjust the size of the grip. 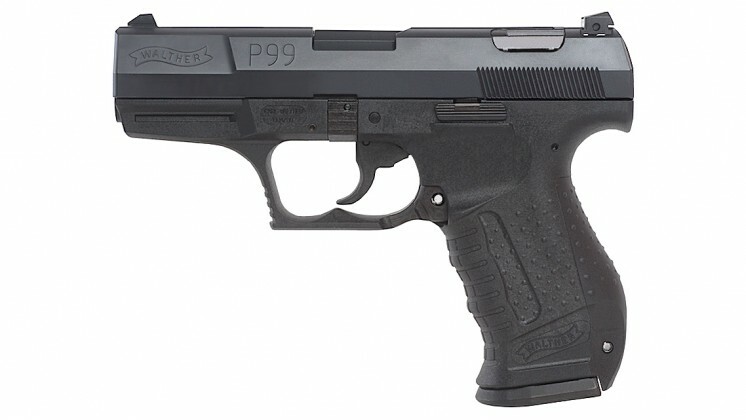 It has a rail system, unique safety switch, and truly stunning looks, the P99 is a must have for airsofters and James Bond fans alike. 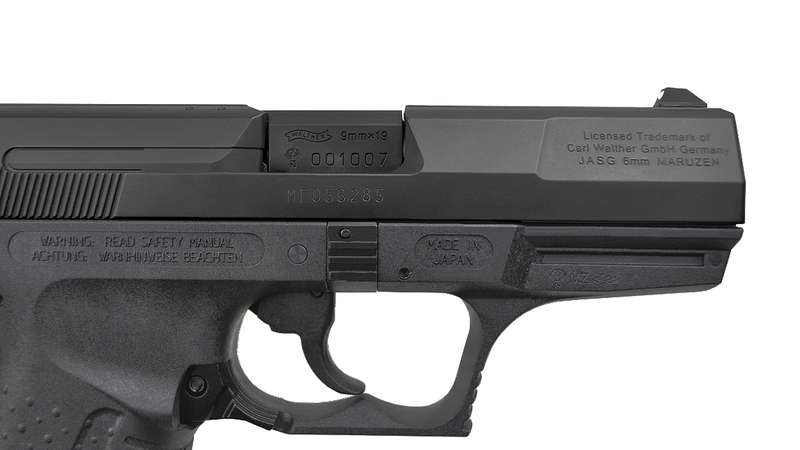 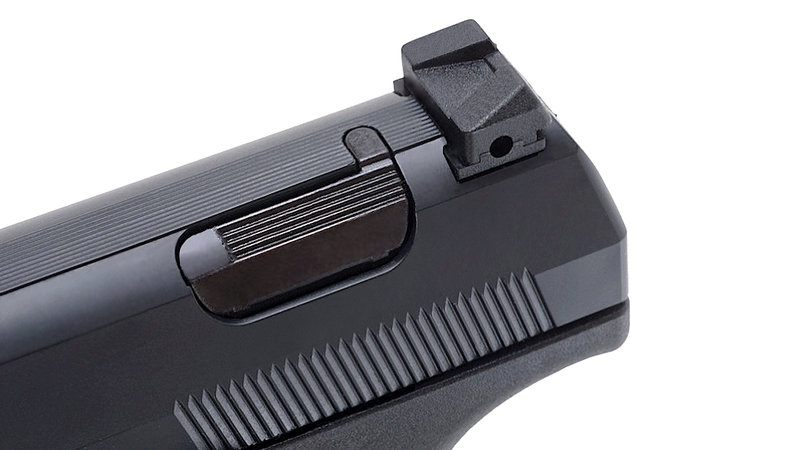 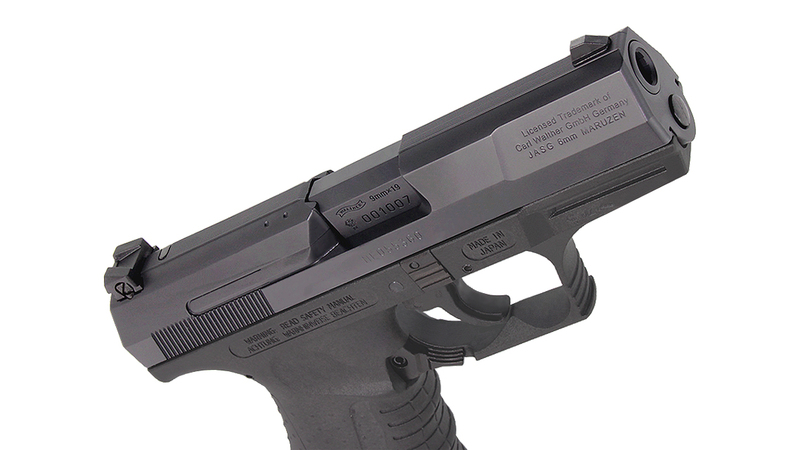 The latest batch features revisions to the magazine, to reduce the wear on the magazine release lever, as was a common problem on the previous Maruzen P99's.